Buying a car is one of the largest purchases that you’ll make. 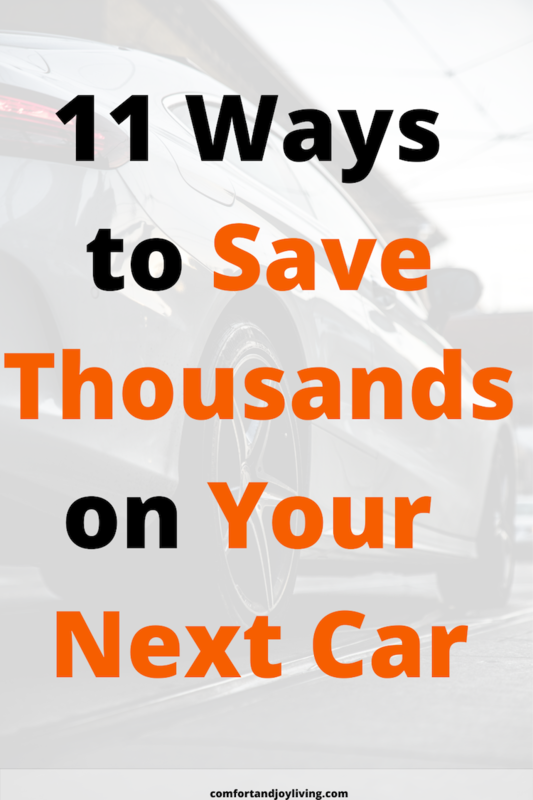 Taking on such a big expense can be quite challenging, but there are several ways you save on your car purchase. The following tips can help you get the right car at the best price. 1. Finance ahead of time. If you are planning on financing a car, make sure to shop around and check out credit unions, as well as banks in your area. See who can offer you the lowest APR for a loan. You may be surprised that there are banks offering 5% while credit unions offer 2.9%. That 2.1% can potentially thousands in savings! Some car dealerships will have special promotions whey they will finance cars for 0 to 1.9%, which you will also want to consider. Negotiating via email is a beneficial way to have a conversation with a salesman for various reasons. First, everything is in writing, which will come in handy when a car salesman “forgets” a discount that they were offering you. You also have more time to think about what you want to say before replying back. Lastly, car salesman are skillful at making people feel uncomfortable, so at least with email, you can avoid that. And shopping online for a car is easy enough since every major car dealership has an online inventory where you can see all the available cars. 3. Shop around at numerous car dealerships. When shopping around for a new car, I visited 5 dealerships to not only get the best price, but to get the most reliable and fuel-efficient car. I even compared car dealerships online to see who which dealership was offering the same car at the lowest price. For example, I checked my local town’s Toyota dealership and then check other Toyota dealerships in about a 150 mile radius to make sure that I was getting the best price. Check to see what the different car dealerships in your area offer before you make a purchase. My research paid off because when I bought my Toyota, I received 2 years wort of maintenance services—oil changes, tire rotations, etc. So, it’s definitely worthwhile to check out as many dealerships as you can and do online research as well. Also, some car dealerships participate in price matching, where if you find a similar car for less than at their dealership, they will price match the car. So definitely inquire about that too. 4. Research a car’s value before shopping. Before purchasing a car, check the car’s online MSRP (Manufacturer’s Suggested Retail Price) and compare this price to what the car dealership is offering. These prices should be fairly similar. If the prices aren’t similar, you need to talk to your car salesman—preferably via email— and find out why there’s such a price difference. 5. Buy towards the end of the month. This is beneficial because car salesmen have to meet a quota on the number of cars they’ve sold each month. If they haven’t met their quota, they’re more likely to give you a better deal if you buy at the end of the month, rather than the beginning of the month. 6. Ask for a deal on service and maintenance. It’s much easier for them to throw in maintenance and services over than further discount a car. You can ask for oil changes for a year or discounted routine maintenance. 7. Sell your current car yourself. Watch out for dealerships that seem eager to take your trade-in as part of the transaction. In most cases, trading your car in at the dealer can cost you a lot when compared to selling your car yourself. Of course, if you sell it yourself, you have to be willing to spend a lot of time waiting for the right buyer. Trade-ins are quite easy, you get the agreed-upon value right away, no questions asked. But if you trade your car in, you can cost yourself at least hundreds of dollars, if not thousands. Dealers typically lowball you on the trade-in value, and then turn around and sell the car for a nice profit. On the other hand, taking a patient approach and selling your car on your own can net you full market value on your car or close to it. Just make sure to spend some time and money cleaning it up and fixing any obvious issues. For an idea of what your current car is worth, go to the Kelly Blue Book site for a range of its estimated value. 8. Don’t let yourself get pressured to buy extras that you don’t want or need. Car dealers work on commission, so the more you pay, the more they make. That’s why they may urge you to buy things like an extended warranty, road service, wheel and tire protection or rust protection. Stand your ground if you don’t want them. 9. Increase your credit score before shopping. If you decide to finance a car, a low credit score can dramatically hurt your chances of getting a good APR (annual percentage rate, also known as your interest). For example, a friend told me she got a 0.9 APR rate because her score was in the 800’s, while someone who’s score is in the 600’s or lower may have a much harder time getting a low rate. 10. Look for rebates, cash-back programs and low-interest rates on car loans. For example, Edmunds.com Incentives and Rebates section has a list of many rebates cash-back programs and cut-rate financing dealers are offering. At cars.com, they have a list of what the site considers the latest top 10 cash-back offers. Just note that auto incentives don’t apply to all models. You need to read the fine print online. 11. Shop for a new car at the end of the year. When it’s closer to the end of the year, older models will need to be sold in order to make room for the new year’s models that are coming in. Usually, the current year version of a car is similar to a car for the upcoming year, so why not buy the current year model at a discounted price. How did you save money on your last car purchase?